23. 03. 2019 18:58 15 (11 - Adielsson Mattias / Johansson Andreas): I'm really happy we are here. We lost ten minutes first day, but then we could try so many setup options, we learned new roads and of course we still have a lot to learn. 23. 03. 2019 14:19 13 (11 - Adielsson Mattias / Johansson Andreas): The most difficult stage I have ever driven in my life. We are driving very slowly, if you go faster, you go immediately off. 23. 03. 2019 13:21 12 (11 - Adielsson Mattias / Johansson Andreas): We are still learning, we have to understand how to drive here. But we had a clean run, no drama. 23. 03. 2019 12:31 11 (11 - Adielsson Mattias / Johansson Andreas): Really difficult, in these conditions, especially in the fog I was struggling with the pacenotes, sometimes I completely forgot where I was. In some places I was braking too early, but the time is not so bad. 22. 03. 2019 19:00 10 (11 - Adielsson Mattias / Johansson Andreas): We have nothing to lose, we are ten minutes back, so we wanted to enjoy and had a big show and fun here. 22. 03. 2019 18:01 9 (11 - Adielsson Mattias / Johansson Andreas): I enjoy it more and more, but now we had a small error in the pacenotes and we made a mistake and went very wide. 22. 03. 2019 17:20 8 (11 - Adielsson Mattias / Johansson Andreas): I just enjoy it. I don't push, I just drive the car. It's quite OK, I'm happy to be back with the confidence. 22. 03. 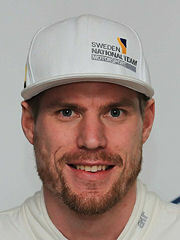 2019 16:22 7 (11 - Adielsson Mattias / Johansson Andreas): First af all the team did great job about the car. It's now harder and it's completely different car, the feeling is great now. 22. 03. 2019 14:10 6 (11 - Adielsson Mattias / Johansson Andreas): I'm struggling to brake the car, I don't know if it's my driving style. We are really pushing when we are feeling goog, but then we overshoot some junction again. 22. 03. 2019 13:30 5 (11 - Adielsson Mattias / Johansson Andreas): We spun few hundred meters from the finish line, we had some mistake in pacenotes. This stage is really really tricky. 22. 03. 2019 12:31 4 (11 - Adielsson Mattias / Johansson Andreas): The car is working, the team did good job. Unfortunately we lost ten minutes yesterday, but now we can now collect experience. Now it was good, we had to reverse once, we will make it little stiffer for the next stage. 21. 03. 2019 18:09 2 (11 - Adielsson Mattias / Johansson Andreas): The car stopped from nothing at km 3. 21. 03. 2019 17:42 1 (11 - Adielsson Mattias / Johansson Andreas): We have some vibrations in the car, it was really really hard, I even couldn't hear my co-driver. I need to find my confidence.